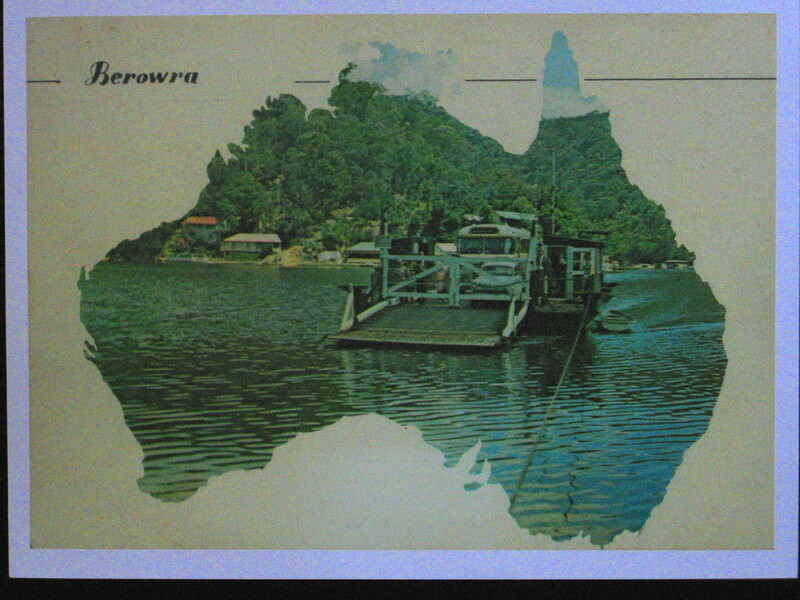 This bright and interestingly framed photograph was probably taken in the 1950’s and may well have been used to advertise or promote our lovely suburb of Berowra. It shows the ferry of the day approaching the eastern bank at Berowra Waters. Passengers include a Berowra Coach Service bus owned and run by Roy Corrigan, and a Standard 10 Vanguard motor car in front, together with a number of walking passengers all ready to disembark as soon as the ferry gates are opened at the landing. Do you know more about this photo? Do tell!